A Clever Aim+Shoot Match Game! 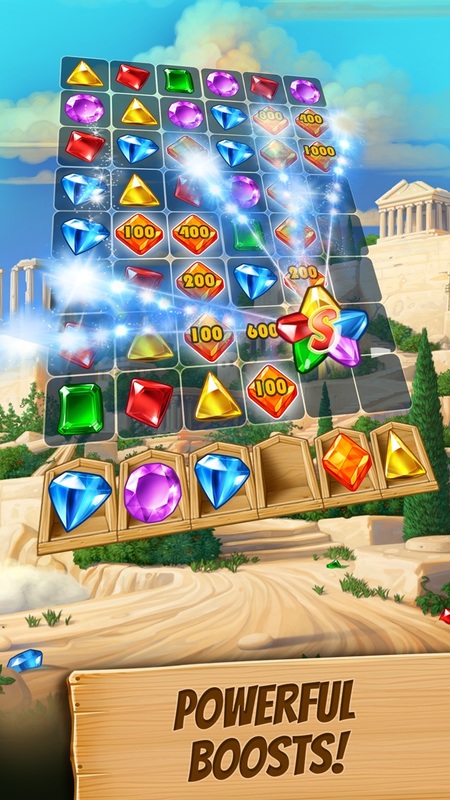 Challenge your brain with this one-of-a-kind matching game where you aim, shoot, and match gems to solve puzzles! Explore lands, dig up treasures, and complete quests in a uniquely strategic way. Finally, a matching game designed for adults! You’ll have a blast in this critically acclaimed gem-matching adventure! Build powerful combos on each level by spinning and tapping to make your matches. 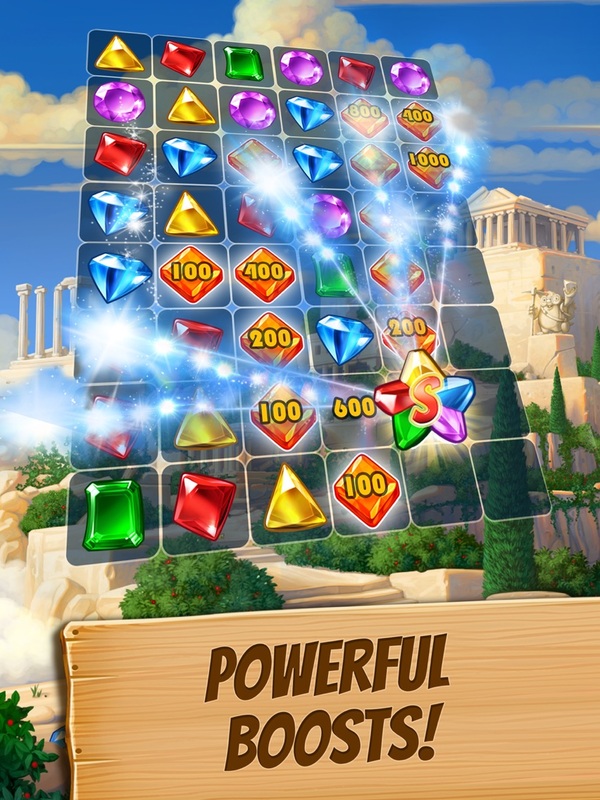 Sparkling gems, rare diamonds and beautiful jewels drop like candy on each turn. Plus, get a FREE Gold Starter Pack when you install this free-to-play matching puzzle game! Journey through dozens of delightful hand-painted Lands to solve more than 900 clever puzzles! 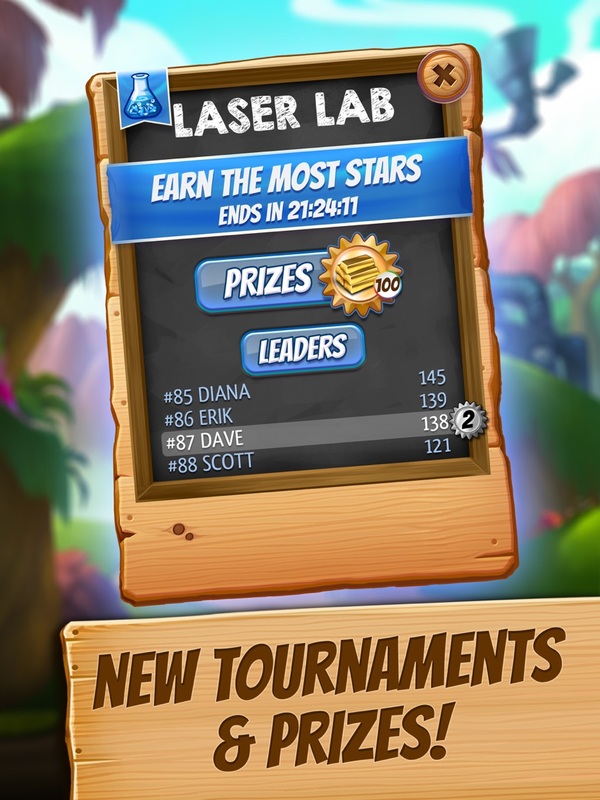 Connect with others, collect great prizes and crush tricky obstacles by playing in quests, bonus levels and NEW tournaments. •	Dig into exciting events to farm more resources by competing in Top Score Tournaments, or playing Quick Quests & Bonus Levels – it all helps you build up more powerful tricks & boosts! 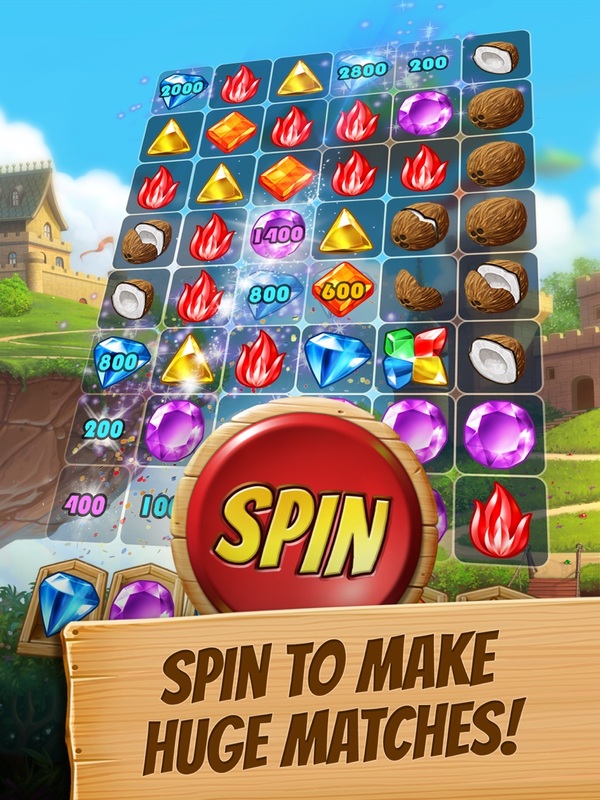 •	Jam through cascading jackpots on your gem-matching adventure with Cascade's groovy music! •	Cuteness Alert! Get help from a host of sweet animal friends along the way -- puppies, pandas, bunnies, otters, foxes & more! You’ll love Jasper, the gem digging Mole, and all his furry friends. •	Win big by being Social! Keep score with your friends through recurring events, invite them to play, share your moments in the game & gift extra lives to your friends on Facebook! •	Skill and strategy matter! 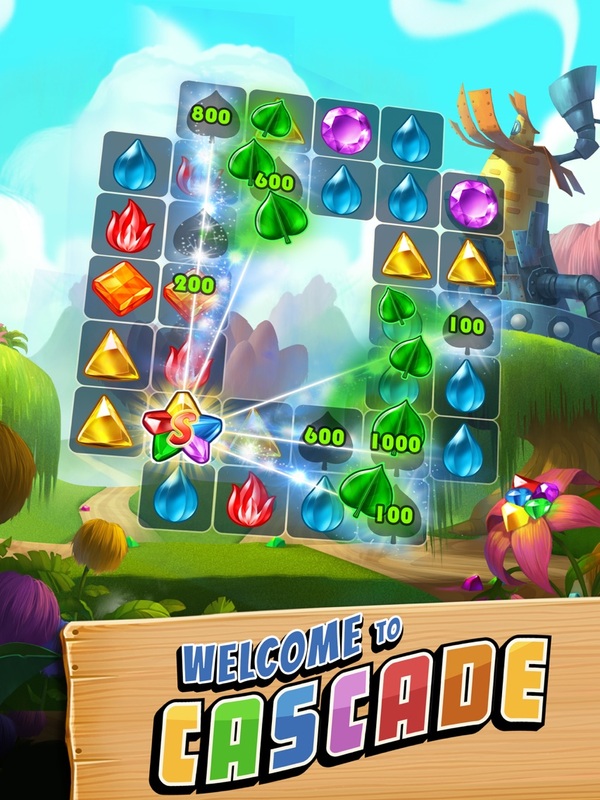 Yes, Cascade is entertaining, relaxing and delightful - but it's also training your brain with each addicting puzzle! •	Where will you go next: a Casino, English Garden, Cascade Resort or a tropical Space Observatory? Yes, with more hand-painted Lands with charm and heart in each frequent update! •	Build powerful boosts! Burst Gems, Super Wilds, Spin Savers, Hammers, Shifters and more will help you match through the most puzzling levels. 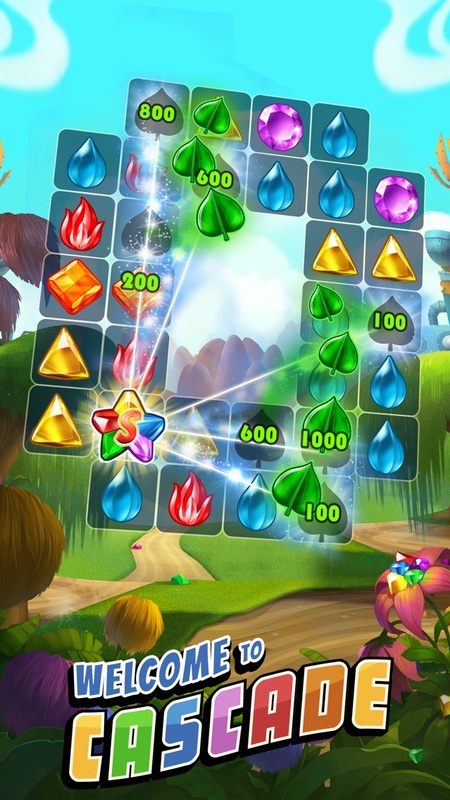 Exploding color, clever gameplay and delightful wins have inspired players to rate Cascade as "uniquely strategic", "fast-paced" and "brilliant fun"! 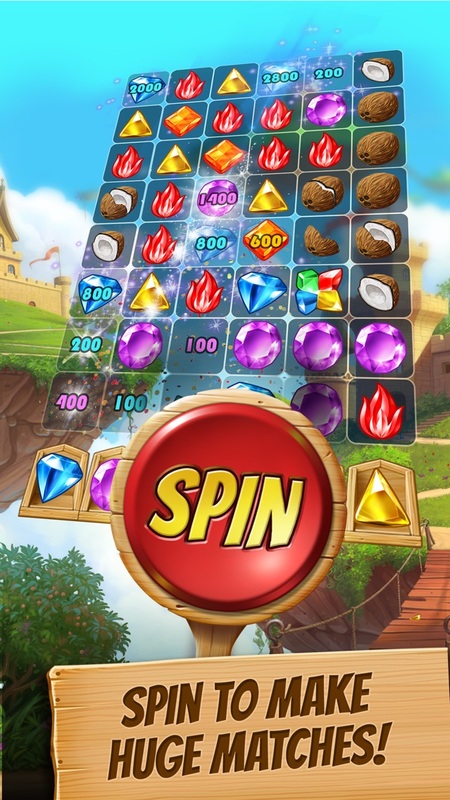 It’s been featured for its unique play style: spin a wheel for gems on each turn, tap to match them with same-color gems on the board, and celebrate cascading wins with every match of three or more. The larger the match, the higher your score! Here’s your chance to swap out that match-3 puzzle game for a breath of fresh air with Cascade. New Tournament game mode, King of the Mountain! 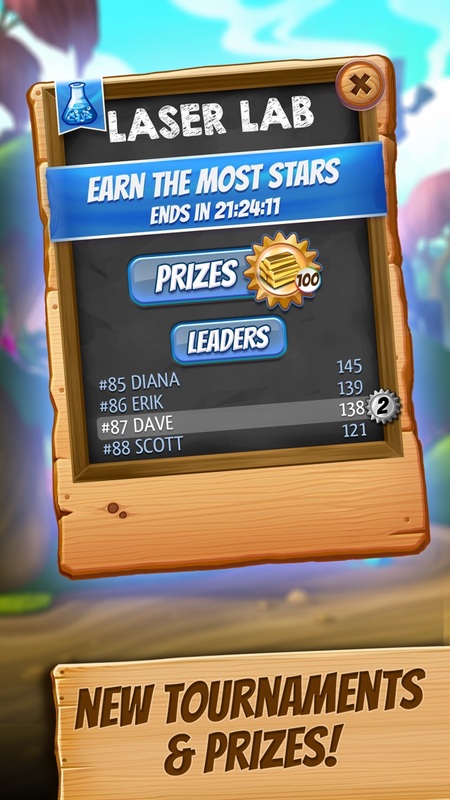 Climb your way to the top by earning the most Crowns. NEW Levels! Dig into the fun in our new Land, 'Exciting Excavations'! Keep an eye out for weekly events, sales, and even more Land Releases! Optimizations and bug fixes to improve overall game performance. Thanks for the continued feedback and support, and happy gaming! • 30+ brand new levels in Land 75, "Fanciful Frolic"
• New Tournament type - Blast! Keep an eye out for weekly events, including the new Burst Tournament. • Gift of Path crates can now be collected by ALL players! • Get ready for a new tournament to celebrate the 4th of July!  • Get ready for new tournaments to celebrate Cinco de Mayo day and Mothers Day! • Be on the lookout for Gift Crates. These crates, filled with amazing prizes, will appear on your map. Can you get them in time? • 30+ brand new levels in Land 59, Temple Defense! • Be on the lookout for an ALL NEW event type: Gift Crates. These crates, filled with amazing prizes, will appear on your map. Can you get them in time? 25+ NEW LEVELS! It's time for adventure and derring-do in the Treasure Keep! Be on the lookout for fun holiday events! • Watch out for our holiday events... coming soon! Watch out for our Halloween festivities, coming soon! It's time for a SPECIAL new Cascade update! Time to spin and match in another fun new update! 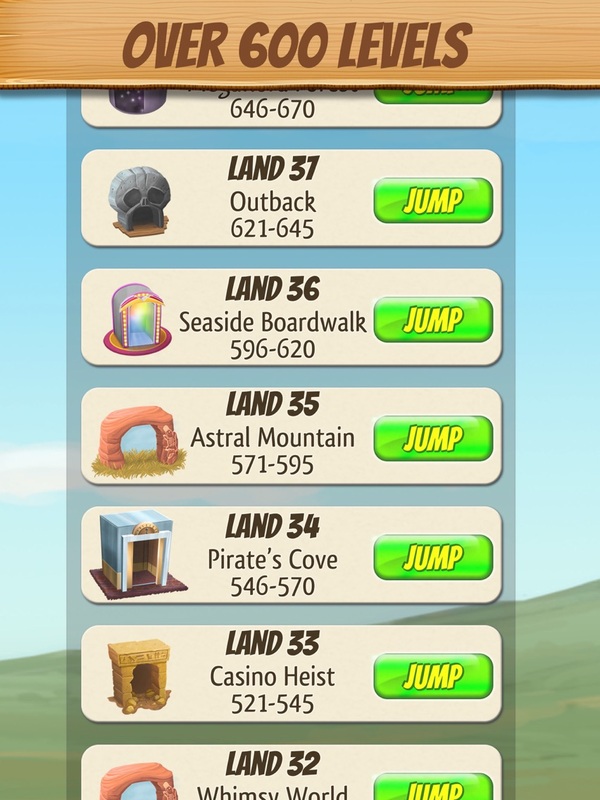 • **NEW LEVELS** Watch your step – this new land is Under Construction! Join Jasper as he looks behind the curtain and sees how the matching fun in Cascade is created, but be careful not to let the bombs hit the floor. New levels are always free! It's time for a new Cascade update! • NEW LEVELS: Join old Cascade friends for a daring mansion heist! Fixed an issue with Dig Spots not appearing on the map for some players. It's time for a BIG new Cascade update! • NEW LEVELS: let's explore the rainforest in Rainfall Park! • Collected all the Star Cards? More Star Cards now available! It's time for a new update that's worth staying up late for! • Watch videos for rewards in the Today menu! Happy Spring! It's time for a new Cascade update. • NEW LEVELS: hold onto your hats - we're exploring the Cascade Ruins! NEW Levels! Explore vintage New York City in our new Land, The Big City! Loading times – improved! Performance – optimized! A New Land! Megaflora Forest has more than 30 new levels and a new Winged Gem mechanic to explore. Plus, more Treasure Caves to run for added rewards! Updated Shop display + performance enhancements for our awesome players! Introducing Boomerangs! 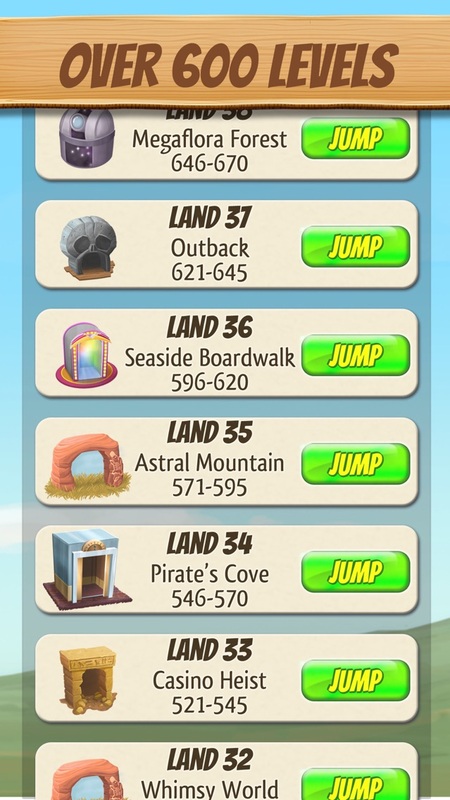 This update includes our NEW Outback Land. New ways to play in more than 30 exciting levels, plus more Treasure Caves! Welcome to Cascade's Season of Sparkle! Play in holiday-themed events & tourneys for prizes! Find something new every day through January 5th, 2017. NEW Levels! Play in our 36th Land, Seaside Boardwalk. Match your way through hot dogs, Ferris wheels and plenty of awesome puzzles by the shore. 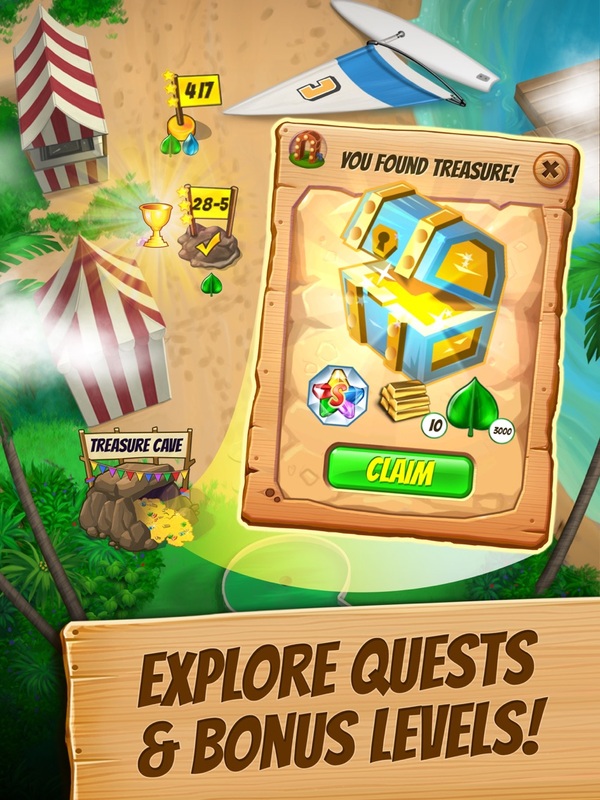 NEW Treasure Caves open up more levels for you to master for awesome goodies. 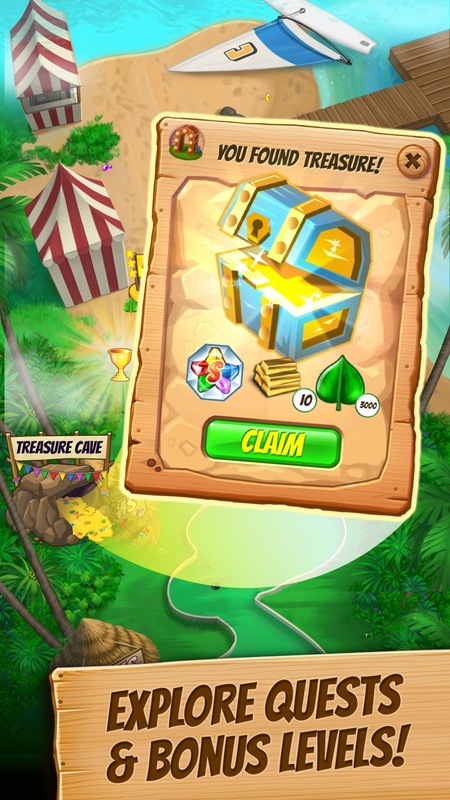 Collect treasure chests and unlock a whole series of new grand prizes when you win! General UI Updates, performance improvements and bug fixes to keep our outstanding players happy.